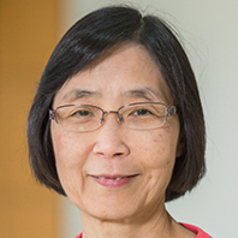 Anna Suk-Fong Lok, MD, is the Alice Lohrman Andrews Research Professor in Hepatology in the Department of Internal Medicine, at Michigan Medicine in Ann Arbor, Michigan. Dr. Lok is also Director of Clinical Hepatology and Assistant Dean for Clinical Research in the University of Michigan Medical School. Dr. Lok obtained her medical degree from the University of Hong Kong and her hepatology training under the late Dame Sheila Sherlock at the Royal Free Hospital in London, UK. She was on the faculty at the University of Hong Kong until she moved to the United States in 1992. Dr. Lok's research focuses on the natural history and treatment of hepatitis B and C, and the prevention of liver cancer. Her research is funded by the National Institutes of Health, federal and private foundations, and various pharmaceutical companies. She has published more than 450 papers on viral hepatitis and liver diseases and is the coauthor of 4 editions of the American Association for the Study of Liver Diseases Association Guidelines on Hepatitis B. She was one of the top 1% of most cited scientists in the world for the decade 2002-2012. Dr. Lok has trained more than 50 fellows and junior faculty from all over the world, some of whom have risen to the ranks of full professors and directors of liver programs in their home country. She received a Distinguished Mentor Award from the Michigan Institute of Clinical and Health Research in 2012 and an Inspirational Physician Award from the American Medical Association in 2014. She was inducted into the Clinical Excellence Society in the Department of Internal Medicine in 2013. Dr. Lok served as an Associate Editor of HEPATOLOGY in 2001-2006, a Co-Editor of Journal of Viral Hepatitis in 2007-2009, and a Senior Associate Editor of GASTROENTEROLOGY in 2011-2012. Dr. Lok is the immediate Past-President of the American Association for the Study of Liver Diseases.